There are two things that I do not like at all. Spy stories and Cold War stories. Although this isn’t a spy story, it is decidedly a Cold War Thriller. I know that many people like this movie and I am really sorry to say that I found it so boring, that watching it until the end was really, really hard. Plus Sean Connery. I am not too fond of him and I really hate Sam Neill. Still, I can see how one could like it but it was definitely not my cup of tea and I will never ever watch it again. The Hunt for Red October is based on a novel by Tom Clancy. 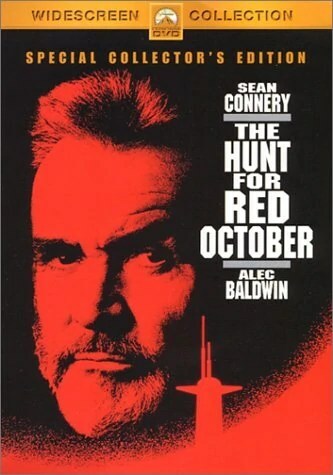 The basic plot line is the decision of the best Russian sub commander, Cpt Ramius (Sean Connery), to defect with his submarine the Red October (yes, a subtle allusion to the October Revolution and, yes again, the movie is full of such subtleties). The Red October is one huge submarine. The biggest submarine in the world. Additionally it is equipped with a silent jet water propulsion system which enables the sub to evade sonar detection. Jack Ryan (Alec Baldwin), a sub expert for the CIA, has detected the system and he will be the advisor during this “Cold War goes Speed 3” enthrallment (sorry, I can’t help being sarcastic but I will try to pull myself together from now on). He thinks from the beginning that Ramius might not plan to attack the US as everybody fears but that he might want to defect with a group of his fellow officers. 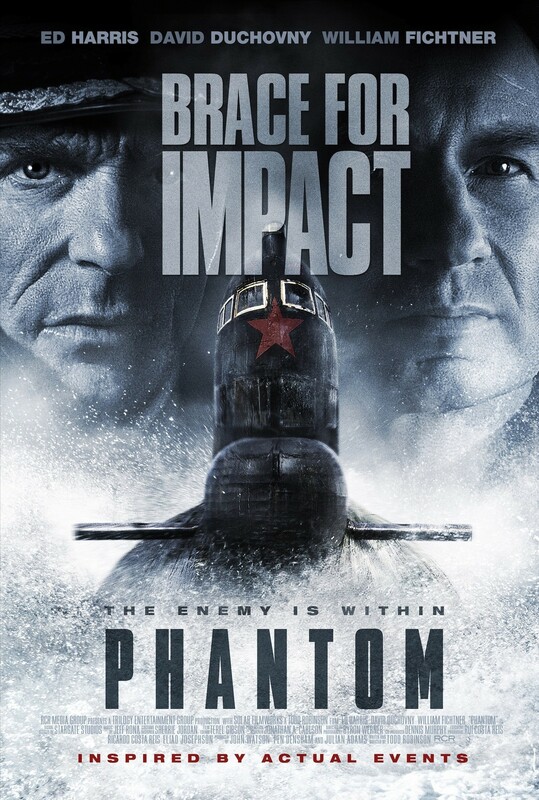 Things get nasty and complicated when the whole Russian fleet starts to hunt the Red October. The Commander of the Russian fleet is played by Stellan Skarsgrad who is always great to watch even though this is just a very small role. Tensions are high all through the movie, the chase is action-packed, the acting probably not bad if you like the actors. But, as said, I am not into Cold War movies. And the language bit was very annoying. First the Russian crew talks Russian – believe it or not – and then they switch to English which doesn’t heighten realism but feels like a parody. The IMDb rate is 7.6/10. Mine would be overall 1.5/5. Slick, glossy and VERY boring.